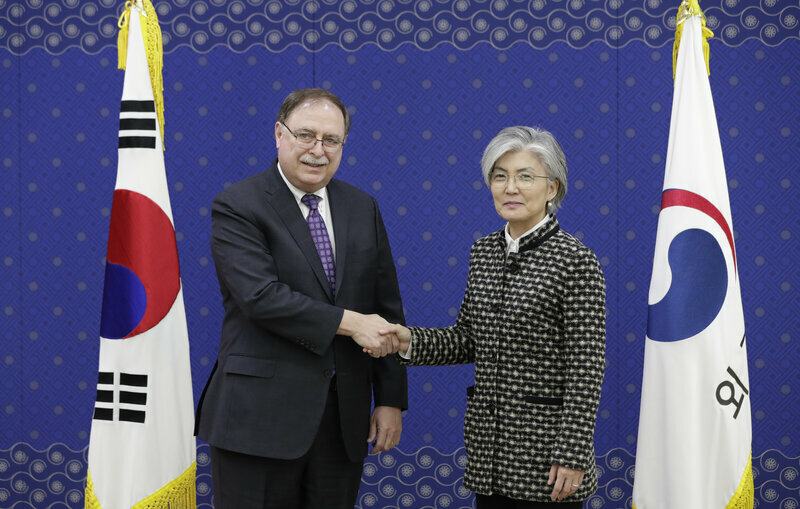 Under the agreement, South Korea will contribute about $890 million a year for the U.S. military presence, an 8.2 percent increase from the previous five-year deal that expired at the end of last year. South Korea was already paying half of the cost of hosting United States Forces Korea (USFK), and the U.S. reportedly asked for a 50 percent increase or more. The U.S. insists that it was not considering pulling any of its 28,500 troops out of South Korea if its financial demands were not met. But it didn't really have to, as South Korean conservatives raised that possibility for them. "I am concerned that he may make a similar decision regarding the USFK in the second summit with North Korea." Won, a member of the conservative Liberty Korea Party, represents the city of Pyongtaek, home to Osan Airbase, and Camp Humphreys, the largest U.S. military base outside the continental United States. Chung Kuyoun called the figure a "psychological limitation" for the South Korean public. But ruling Democratic Party lawmaker Song Young-gil says, with the U.S.-North Korea summit looming, and with conservative lawmakers alarmed about a potential U.S. troop drawdown, Seoul was forced to go beyond the 1 trillion won threshold. "Camp Humphreys not only serves as a defense base against North Korea," he said. Another union official, Choe Ung-sik, says that the U.S. negotiates Seoul's contribution based in part on the number of Korean employees it needs, but after getting the money from Seoul, the USFK then lays off some of those workers.